The United Kingdom has long been limited in super competitive credit card products, but for the points obsessed, there was a way around that. Someone could open a credit card and cancel, and after waiting six months, they could enjoy the welcome bonus again. This process, commonly known as “churning” allowed UK travellers to obtain double the points each year or more. There’s just one thing: each sign up bonus costs Amex serious money in acquisition, and that was never going to be sustainable. 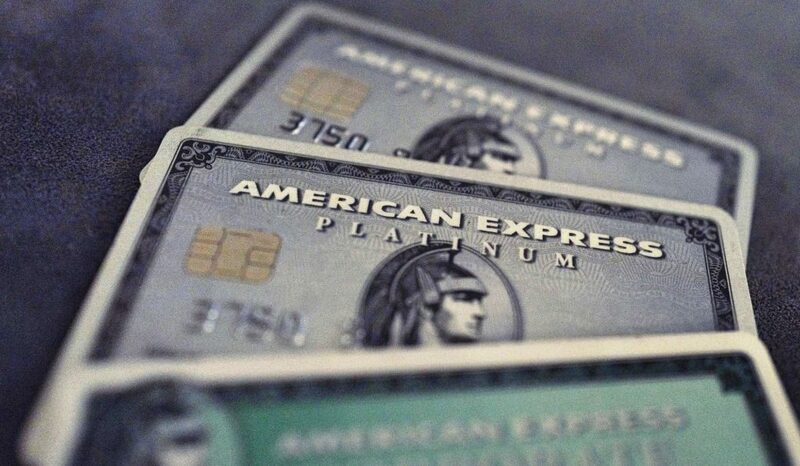 Amex has limited UK credit card welcome bonuses with immediate effect. We flagged this roughly a year ago as something in the American Express pipeline, so hopefully those who needed fair warning received it. By immediate effect, it means this already happened and the new rules are in place. The new card restrictions are simple: you cannot receive a bonus on an Amex card if you’ve held any Amex card within the last 24 months. Basically, if you have a card you’ll need to wait 24 months from the date you cancel to be eligible for any another Amex bonus of any kind, even on other cards. There will be no bonus for you until that 24 month freeze ends. That’s an 18 month increase in current terms and tighter on terms too. The big thing to note is that this applies to all cards, not just Amex product families. Previously, you were only restricted to earning a bonus from a certain family of cards, but not all cards. Like if you got a bonus on Amex Platinum, you couldn’t get one for Amex Green or Gold within that six month period, but you were a-ok for an Amex which earned British Airways Avios. Same, vice versa too. The two exceptions to the new Amex UK welcome bonus rules are the British Airways Premium Plus and Amex Platinum. These cards have both limited sign up bonuses to 24 months from the last date you held a card just like the rest, but they are the only two which still allow you to double dip with a card from another product family. If you’re a corporate customer and not a personal cardholder, you can ignore this news… for now. You can’t get the Amex Platinum bonus if you’ve held any Amex Membership Rewards earning card (Green, Gold, Platinum) in the last 24 months. Unlike the other cards, you can still enjoy the welcome bonus if you hold onto your British Airways card, or any other non Membership Rewards earning Amex card. Basically Amex wants you to enjoy their Platinum product in tandem with a card which doesn’t also earn Membership rewards, like the British Airways products, so you can have one of each. This only works for Platinum. The “no cards” rule applies for Green or Premier Rewards Gold. Same goes for the British Airways Premium Plus card, which allows you to receive a welcome bonus even if you currently hold on to an Amex card that earns Membership Rewards such as Green, Gold or Platinum. The same 24 month rules are in effect though. You just cannot have held any other Amex card which earns Avios within 24 months to receive said bonus. Amex wants you to enjoy their British Airways Premium Card in tandem with a great Membership Rewards earning card, which is why this was spared the stricter rules. Marriott Bonvoy (still SPG Amex) is an interesting card because it allows you to collect hotel points, but those points can also transfer to virtually any airline program as well. If you got this card first, it would still allow you to then get both the British Airways and Amex Platinum cards, since their new welcome bonus terms only restrict cards in their product family – which Bonvoy is not. Though the annual fees are high, anyone taking advantage of Fine Hotels & Resorts free nights and benefits, and or airport lounge access could then really win with Platinum card. The card still carries the potential to earn Avios via points transfer, but offers more flexibility via other airline programs. Combining the Platinum Card with the British Airways Premium Card allows you to enjoy higher earn rates on Avios, a companion voucher and the perks of Platinum Travel. It’s clear via the rules that if you’re paying for their top tier cards, the rules are more flexible, so you may as well take advantage. amex UK bonus rulesamex UK welcome bonuswhen can you get a new amex bonus?